Currently EVOLETAH have released their new album, ‘We ache for the Moon’ in which members Matt Cahill, Andrew Boyce, Jason Eyers-White and Michael Shanahan have collaborated with the award-winning artist Katie Underwood. By their fourth studio album, many bands are running out of creative steam and original ideas. But in the case of EVOLETAH, nothing could be further from the truth. ‘We ache for the Moon’ is singular in the quintet’s catalogue when it comes to sonic exploration and lyrical ambition. If anything, the band has never sounded more excited to experiment with textures, words and sounds. The album is just great in all realms. It’s moving, emotional, and can pull at your heartstrings. It’s not overly dramatic either, which I like, while the songs are layered in a way to give you this comfortable feeling. It is a slightly broody and melancholy sounding album but one that should absolutely not be passed up, if you’re in need of a little tear in your eye. For those of you who like to think when listening to albums, here you may bathe yourselves within 9 lyrically poignant tracks. It is a philosophically-driven piece of musical art, which is also very emotional and well-articulated. I haven’t yet decided whether ‘We ache for the Moon’ is sheer genius or merely extraordinary music, but I reckon anywhere in-between is well over and above what anyone else is doing right now! 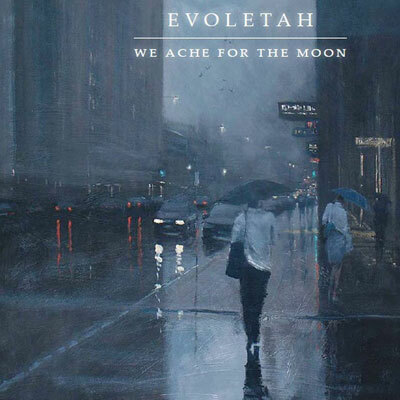 ‘We ache for the Moon’ is a subtle but crucial development for EVOLETAH. 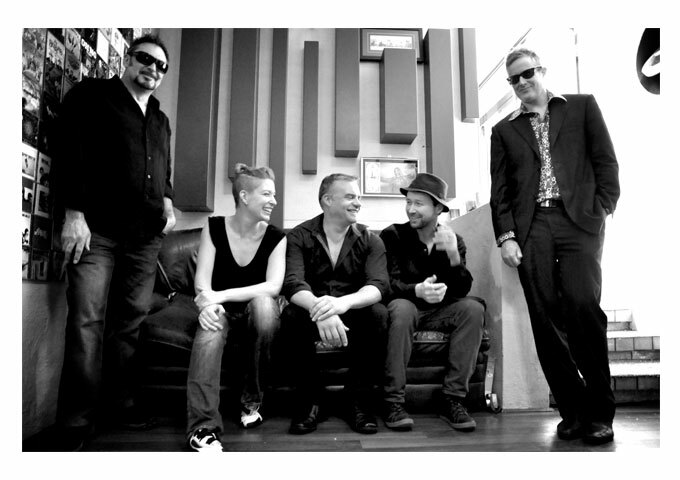 While the song writing approach is recognisable from their previous albums, their music sounds wider, richer, warmer and their palette of sound is far wider. Also noticeable is their lyrical development. The lyric writing is lifted above the classic ‘arty’ indie-centric motifs, and begins to look at topics from a broader and deeper perspective that is much more emotionally satisfying. And then the voice of Katie Underwood certainly adds another dimension to an already dynamic soundscape offered by this wonderful band. My worst pastime is choosing standout or favourite tracks on any album, let alone on a cohesive body of work such as this one. Forced into a corner by a colleague, I went with “Time”, “The Eleventh Hour”, “Drive”, “Black & Blue”, “The Forgetting” and “Thirteen Moons”. But the songwriting, arrangements, performances and lyrical imagery is lush and beautiful on all of the tracks without exception. Once in a while an album comes along that speaks to you and just makes so much sense. It becomes a soundtrack to that moment in time and causes you to reflect on your life and the things that are important to you. ‘We ache for the Moon’ is a masterwork for EVOLETAH. Each track weaves a beautiful web of sound and emotion, touching on the themes of life, love and beyond; anticipating where this very talented band is heading in the future. 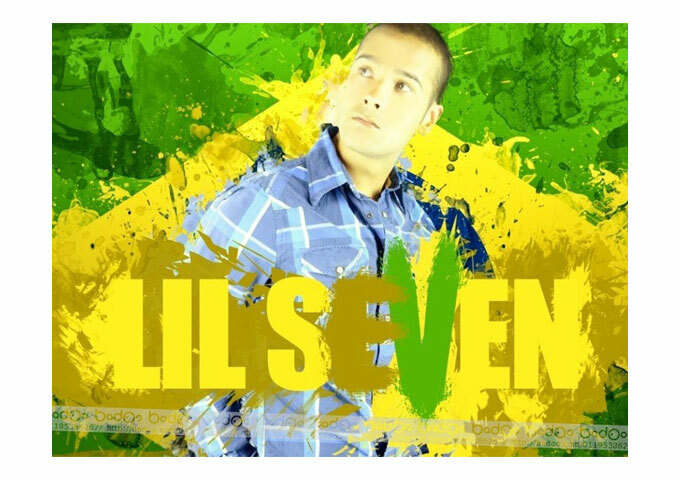 Lil Seven: “My Dream Girl” Hiphop and Reggaeton de Brazil! 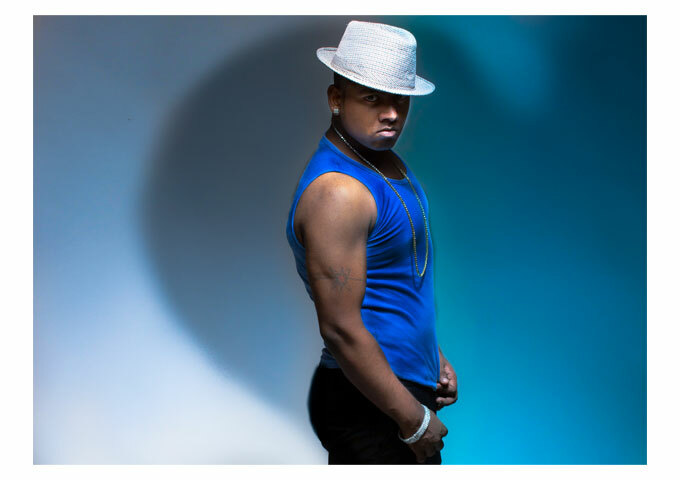 R&B Artist WOREN WEBBE Delivers On All Counts!